After the washing machine, microwave is also an effective way to kill the animal but it can be expensive. A British man was sentenced on Wednesday to nine weeks of imprisonment by a court in north-east of England for having killed his hamster by cooking him in the microwave. Anthony Parker, 29 years-old, admitted placing the animal in the oven during an argument with his girlfriend when he was drunk. “I didn’t want to kill him. It was the best hamster I never had, it was called Suzie, “he said in court. Her suffering had not lasted. Unemployed construction worker, the man initially claimed not to remember the fact. 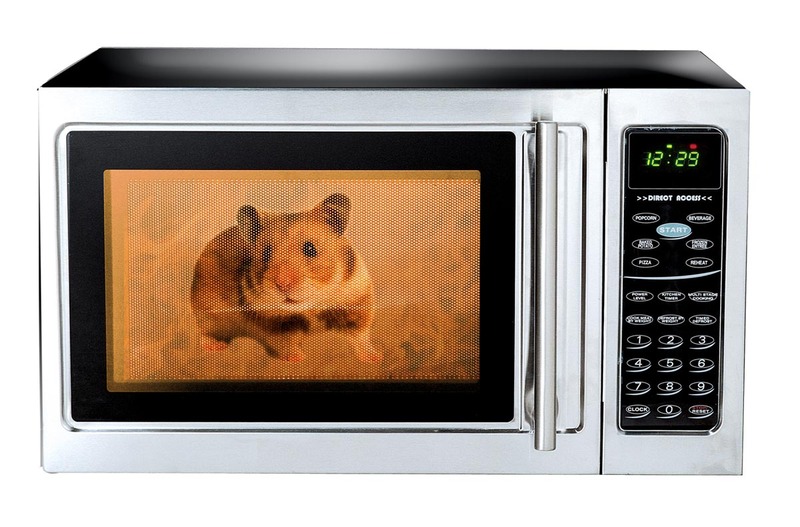 He later retracted his statement and pleaded guilty to causing unnecessary suffering to the hamster in the microwave, resulting in his death. The police found the animal whose lips were burned and eyes opaque, in a trash can outside the home of its owner. An autopsy concluded the death of the hamster by radiation. “This man was so drunk he put a hamster in the microwave and killed him,” summed up Neil Taylor representing the prosecution in front of the court in Hartlepool. Anthony Parker’s lawyer argued that his client had never been convicted for acts of cruelty before, and pointed out that Suzie had died quickly and that “its suffering did not last”.